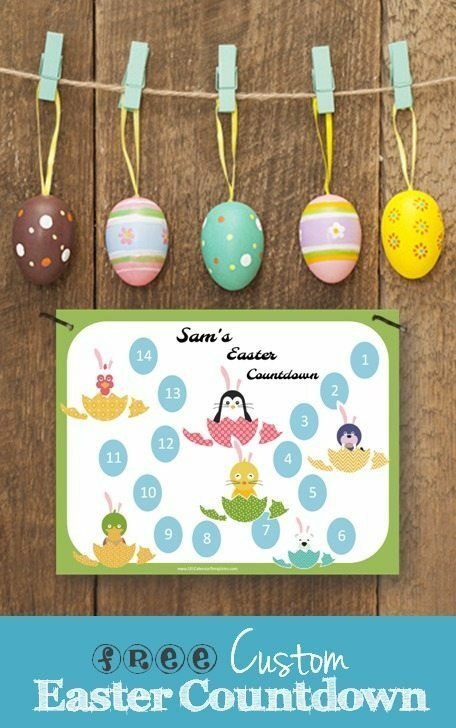 If you are tired of hearing your kids ask how many days until Easter you can print this Easter countdown and even personalize it with your child’s name or your family name. You can either print it without a title (just erase the title first) or personalize the title and then print. All of the text can be changed if you prefer to use your own title. Easter (also called Pascha or Resurrection Sunday), is a festival and holiday celebrating the resurrection of Jesus from the dead. The week before Easter is called Holy Week. It includes Maundy Thursday and Good Friday. Easter does not fall on a fixed date in the Gregorian or Julian calendars which follow only the cycle of the sun. The date is determined on a lunisolar calendar similar to the Hebrew calendar. Easter is linked to the Jewish Passover by much of its symbolism, and they both fall around the same period. In many languages, the words for “Easter” and “Passover” are similar. Easter is also called also called “Pascha” (Greek/Latin) and Passover is called “Pesach” in Hebrew. 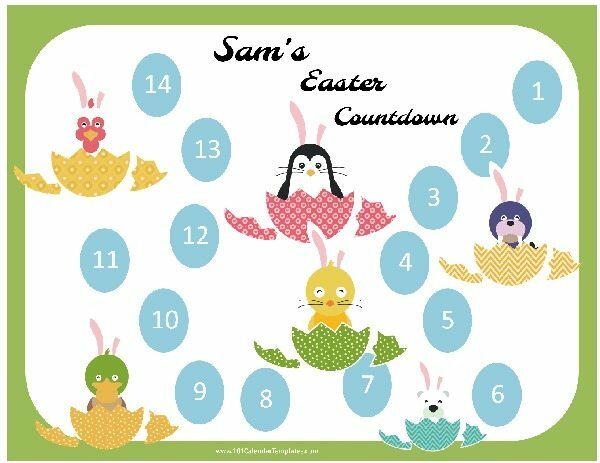 Easter customs such as egg hunting, the Easter Bunny, and Easter parades are such fun! My children wait all year for the chocolate eggs and chocolate bunnies so they always look forward to Easter. The countdown makes the anticipation enjoyable as well. 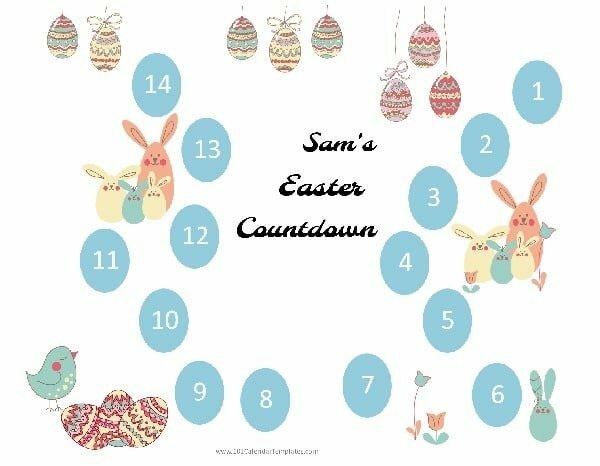 How do you use the Easter countdown? You can use it any way you want. 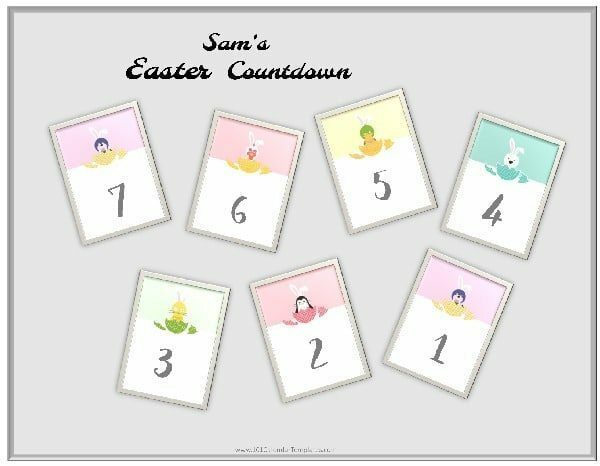 You can either countdown to any particular day such as Easter Day (or Easter Sunday) or add specific dates to the calendar such as Good Friday, Easter Sunday and Easter Monday.